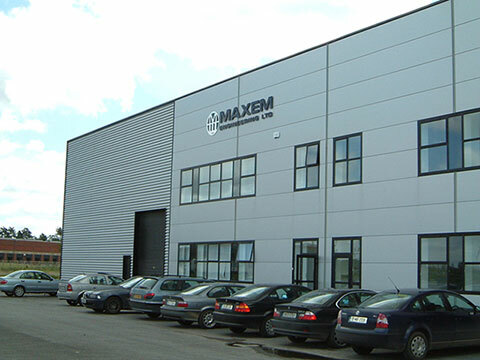 Maxem is a supplier of Automation and Capital Equipment to Industry in Ireland and the United Kingdom. Maxem have supported the Electronics Manufacturing Industry (SMT), Medical Device Manufacturing, Aerospace and Precision Engineering since 2001. As a machine supplier with expert competence and a vision for future developments, Maxem are the ideal Technology Partner for all your manufacturing needs. Our clients range from Blue Chip OEM to local innovative startups, all benefiting from local professional and knowledgeable support through from initial produc tion conception to product selection right through install and production for years to come. Maxem have coordinated green field installs in Ireland, UK, Mexico and China and continue to provide expert support to these sites. Maxem is 100% Irish owned and head quartered in Naas, Co Kildare, Ireland, the UK offices are located in Birmingham. Please contact us to discuss your technical needs in terms of Automation, Processes and Chemistry requirements.